Investor Alert!! huge lot 109* 72. 4 bedroom basement entry beautiful house in front of the green belt. 2 kitchens with separate entrances. 3 bedrooms up and two bedroom suite down, rented to one family. Quiet neighborhood, walking distance to Superstore, Guildford town center, Guildford Athletic Club, Swimming Pool, transportation, etc. convenient central location but in the quiet street. 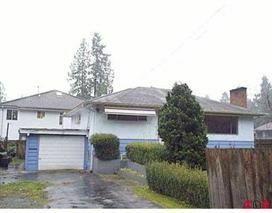 7863 sqft large corner lot, great investment for future development. Rare chance, call now!